Meaningful interactions. The two words that have come up the most when we’re talking about Facebook and how Founder Mark Zuckerberg threw a spanner in the works - amidst the avalanche of criticism he’s been facing - by changing the Facebook algorithm not long ago. You must have seen the adverts on television by now and if anything, the advert is all about how bad Facebook has become over time. That looks to be changing now, as does the way news is promoted. This is why we’ve decided to launch a private Facebook group. Facebook’s ‘fake news is not our friend’ campaign means the way news is distributed on the massive platform is changing forever. The amended algorithm now determines what any of the two billion-plus users will see in their News Feeds at any given time. That doesn’t mean Facebook is getting rid of ‘fake news.’ Instead, it’s going to be demoted and this will result in users not getting this type of information whenever they log in. While that’s a welcomed feature, the algorithm change means that everyday businesses with real news will also be feeling the impact. Saying that it’s going to have a huge impact on the entire Facebook experience would be a big understatement. A decrease in organic reach is arguably the number one issue that marketers are going to face on Facebook. While there are methods to work with the algorithm change and continue reaching your customers through meaningful interactions, the method we decided to adopt was launching a private group. This ensures our news, updates and information are always directly received by the right marketers, all the time. Sadly, Facebook’s new direction caused by ‘fake news’ will see the effect trickled down to any and all types of news it doesn’t deem as a meaningful interaction - which is a shame. It also means that getting news out to marketers, like you, is a much more difficult task for us, but that issue can be eliminated by joining or even creating your own private Facebook group. If the new Facebook algorithm is all about meaningful interactions, then think about this: What’s more meaningful than having a private Group packed full of marketers and individuals that want to have that relevant interaction? It’s the perfect way for us - and you - to engage with customers, collect user-generated content, gaining and learning from customer insights and even giving them a platform to ask questions where they can receive direct responses to the news, updates and information you’d care about. By launching our own private Facebook Group, we can find our people to fill our network. They can share struggles, updates, wins and even provide valuable insights that can’t be found elsewhere. Plus, the more we engage and provide value to those in the group, the quicker the group grows by getting new followers, subscribers and even clients. It’s easy to see why as the Group is based around our niche, so the ideal customers are going to be in there. It’s also a perfect platform to learn and grow. We’re going to teach other marketers things they didn’t know before and the same will be applied the other way. Facebook Groups is designed to foster communication so we can all learn from each other whether it’s new updates, success stories, newer features and more. 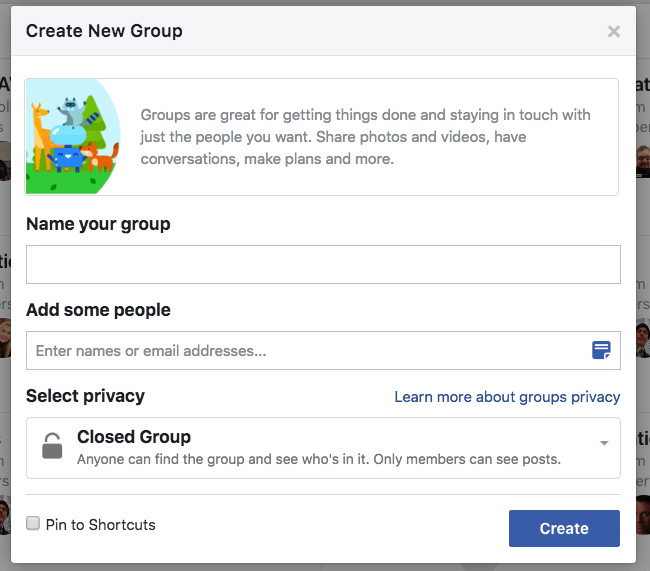 That’s why we’ve started the private Inbound After Hours Facebook Group, so here are some tips on how you can get started with your own. Although it’s effortless to set up your private Facebook Group, sometimes the trickiest part and the bit which takes the longest is trying to find the best name. It’s no good picking one and then changing it every week as your audience won’t know what the group is about and could leave much quicker than they joined. So, it’s highly beneficial to do some researching before finalising a name. The aim is to make the name of your Group stand out. It also needs to be easy to find, related to your industry and not to be confused with any other existing Group. For example, you might have a brilliant name in your head, but if that name is common and famous in, say, the sports sector with tens of thousands of people in the Group, then you’re not going to be extending your reach to find the people you want. At a glance, the Group name should be able to tell what your community is all about and should be engaging. If it’s an Inbound Marketing group, then the catchy name needs to make it clear that a user is joining the Group to engage with people talking about Inbound Marketing. Search for other Groups that are in a similar industry to yours and compare. Also, compare the name of much larger Groups to see how many people have joined to get a better idea of what appeals to your target audience. The clearer and catchier the Group name, the more likely it is you’ll tempt your target audience to join the private Facebook Group. If you want Zuckerberg to join your Group, then that’s probably not going to happen right away. It’s about being realistic. We’d all want the leading influencers to join our private Facebook Groups, but it’s important to start off small and establish that trust and authority in your field. It’s a way to grow naturally. The more authority you have and the more trustworthy you are, the more likely it is that you’ll grow and catch the eye of those influential figures. It takes time, though. A good rule to go by is having your team join the Facebook Group. The fact they’re in your industry suggests that they’re going to be interested and will want to get their thoughts across whenever they come across something newsworthy. So once you’ve finalised the name, the topic, rules and the other basic information, you’ll need to turn your focus on creating a thriving community that wants to engage with you. Don’t make the mistake of being trigger-happy and sending out invites and links to everyone you can think of and even that client you stopped working with five years ago. Take a step back and consider the importance of the very first members that will be in the group. These are the types of people that will regularly use the Group for its purpose and shape the entire Group. They might be people interested in your industry, people already in it or even an industry expert who you’re on good terms with. Choose the first members and personally invite them. By doing this, you’re giving your group some credibility to show natural growth by proving that it’s a genuine community and not one that’s full of users with little to no interest about having any input. By having that credibility, it makes it much easier to attract new members down the line. You can even throw it in your blogs, podcasts, emails and other marketing materials. Obviously, don’t go overboard and beg for people to join for the sake of it. Remember Facebook’s focus on meaningful interactions? Make sure you’re targeting your private Facebook Group towards users that will provide a meaningful and positive impact. This is the crucial part, as you need to provide enough content in the private Group to not only retain your current audience but attract new members as well. This area is the perfect opportunity for you to showcase your expertise, show why you’re the market leader and why your group is the one that people need to join. Zuckerberg himself has said that people want to hear more from family, friends and groups. So, make sure you’re populating the private Group with enough content to create enthusiastic interactions and give users more motivation to come back. An important thing to consider is that you need to allow members to post in the group. It shouldn’t be like a Q&A session where all they can do is post replies to things you post in the Group. By giving users that functionality, your responses to their queries show that you’re the expert and you’re able to solve pain points rather quickly. It also shows other users that you care about their thoughts and opinions by letting them get hands-on. Not only that, but you might also choose to have certain trusted members curate content once in a while in a guest role. It keeps things fresh rather than the same individual posting time and time again. If your Group is continuously ticking over with fresh, new content then members will have a reason to check in frequently. The longer you remain idle with posts and show inactivity, the likelier it is that they’ll lose interest. The latest trends in your industry - it might create a debate and get even more people involved. Share your blogs, podcasts, upcoming events and updates before anyone else gets to see them (it acts like a little incentive) and use it as an opportunity to grow. Just make sure it’s relevant content. Fresh, engaging, relevant and timely content is what you need to look for. It can be tempting to dip into your budget and pay for advertising, but having a naturally-growing community to begin with would certainly be more rewarding and showing that there’s a completely genuine and organic interest in your private Facebook Group. Remember, there’s no end goal with a private Facebook Group either. It’s an ongoing cycle where you’d need to stay ahead of the curve at all times. There’s always going to be more to learn about Facebook, Groups and how to adapt to the everchanging algorithm which changes the way news is consumed. 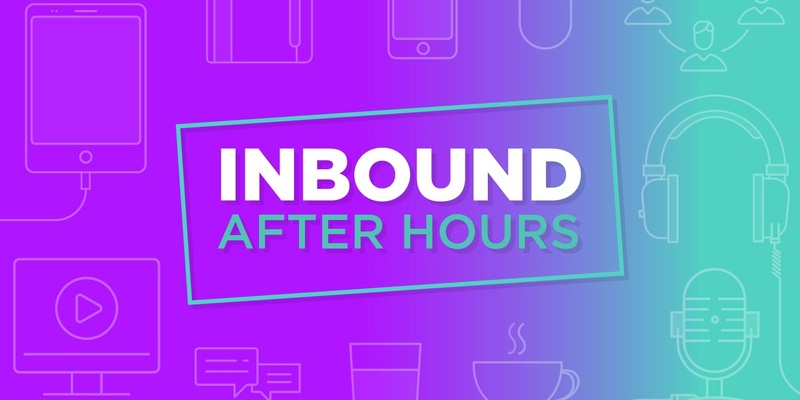 The tips highlighted above are just some of the insights you’d receive when you join our own private Facebook Group - Inbound After Hours. By joining the Group, you’ll regularly receive fresh, relevant and meaningful content which isn’t just limited to Facebook updates. The latest news from the world of Inbound Marketing, news on upcoming features, events and so much more is all packed in. If you want to stay in the loop, have your own say and even have your marketing problems solved, click the link below to join the Group.